Update: Dog’s owner has been found! 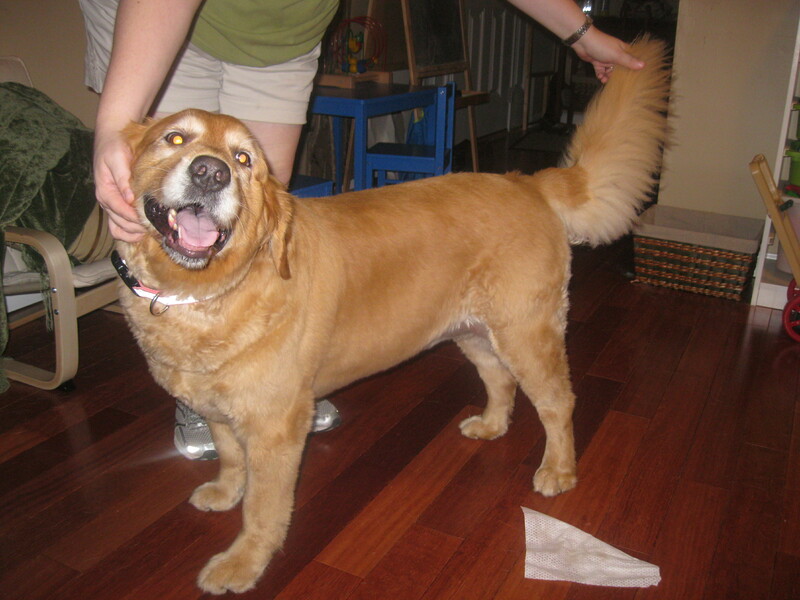 A resident of Woodstream found a dog in the community yesterday, 6/16/2012. 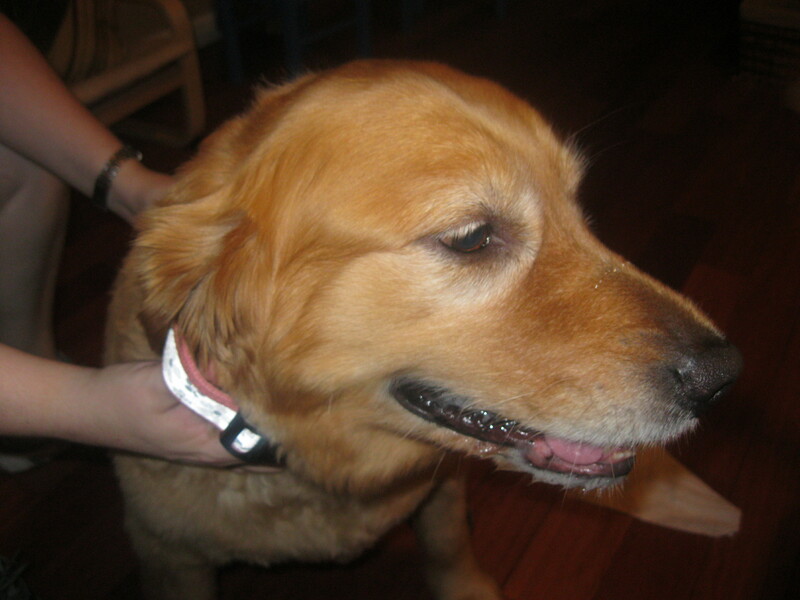 The dog is a Golden Retriever Mix, 80-100lbs, curly hair on bum, pink reflective collar w/bones on it. No tags.